"Ox turns Heaven and Earth" - "Niu zhuan qian kun" 牛转乾坤. This sentence is a word play. It comes from the Chinese idiom: "Niu zhuan qian kun" 扭转乾坤, which means "to bring about a radical change in the situation; reverse a bad situation or unfavorable condition to one’s advantage". 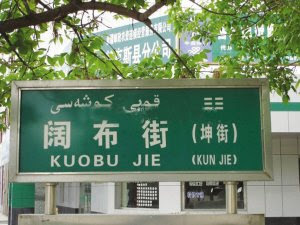 This phrase is also translated as “to turn the tables”, because it derived from the ancient Chinese games. The player that is in a disadvantaged and weak position, turns the situation around and wins the game. This shows the hope of people for better changes and better times. December 21st is the Winter Solstice in the Northern Hemisphere. The Sun is at 270 degree on the ecliptic. The 3-4 days before and after the Winter Solstice are characterized with very powerful energy in Nature. This is a good time for receiving energy from Nature, important time for more meditation and relaxation. Even when no meditating one can feel the circulation of the energy and blood in the body - so much intense as if in a meditation state. Now the meditation is of very good quality, it gets easier and faster to enter into the deep levels of subconsciousness. 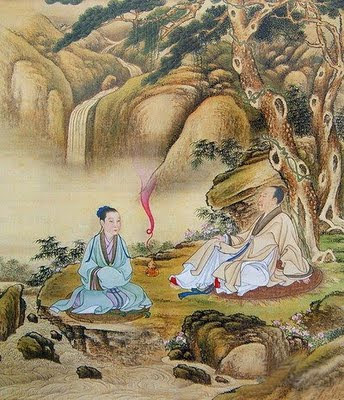 The Daoists and Buddhists give a great importance to meditation during the Winter Solstice. At the this time of the year the Yang energy starts to increase (and the days start to get larger), while the Yin energy gradually starts to decline (the nights become smaller). Slowly and almost unnoticeably the heat in Nature and within us starts to activate from the deeper layers toward the more superficial layers of the body. Lao Zi says "Returning is the movement of Dao". 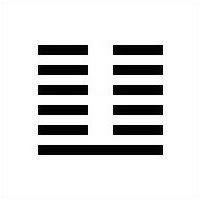 Fu hexagram means “Returning, coming back" and it consists of 1 Yang and 5 Yin. The past month (亥 Hai) was completely Yin (with 6 Yin), but now a new cycle is starting, in which the first rays of the Yang qi start to appear. 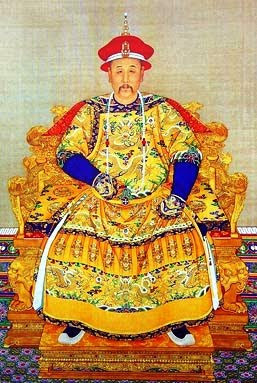 In Chinese, this is called “Yi yang chu” 一阳出 (“the appearance of first Yang”). That's why it is considered a great time for cultivation. During the different 24 solar terms of the Chinese calendar, qi is concentrated at different energy points (guan 关, chakra) of the small heavenly orbit 小周天. 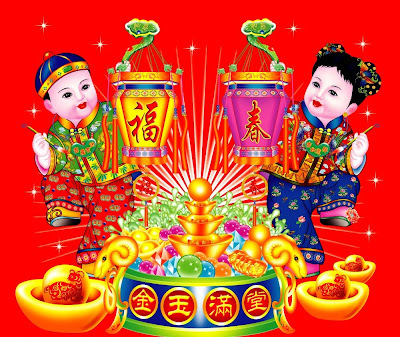 During the 15 days of the Winter Solstice period, qi is concentrated at hui yin 会阴 point at the perineum as well as in the lower dantian in the belly. The qi becomes more active on du mai 督脉　(the Yang channel) of the small heavenly orbit. At the same time, the flow of qi can be felt much better and faster throughout the whole body. In the past times, the Winter Solstice in China was regarded as an official holiday and the New Year's day. The scholars and practitioners of metaphysics have done important forecasts namely on the day of Winter solstice. Happy December (Winter) solstice to all! There was a person who trusted feng shui so much that before doing anything he first asked a feng shui master for consultation. One day, as he was sitting, a wall collapsed above him and he was pressed by it. He anxiously started to shout "Help! Help!" . When his relatives saw him, they said: "Don't worry, be patient, we will now go to the feng shui master to ask whether today is an auspicious day for ground braking." 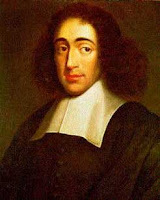 "To know the order of Nature and regard the universe as orderly is the highest function of the mind". In the history of Chinese astrology, and even nowadays, there are many people who argue about the meaning and significance of the symbolic stars 神煞 (Shen Sha). Some deny them, while others say that these stars have their own contribution to Chinese astrology. Those who deny them completely, just don't have a good knowledge of the symbolic stars and lack a flexible look on astrology. In fact, the symbolic stars have a very important meaning. 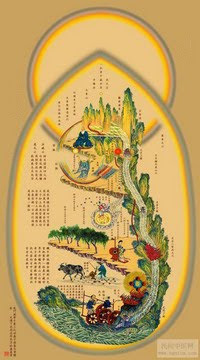 In the Four Pillars method of Chinese Astrology there are several important aspects: Yin and Yang, the relations among the 5 elements, the heavenly stems and earthly branches, the ten gods (shi shen 十神), the 12 energy states (changshen shiеr shen 长生十二神) and the symbolic stars. The calculation of the symbolic stars is logically connected to the theory of Yin and Yang, 5 elements, 10 gods theory, Na Yin theory, 12 energy states, the 8th trigrams and I Ching, etc. It is a further interpretation of all these theories and its use and development through the centuries has proven what an exact information they can give. The symbolic stars are like the “leaves” of the stems and branches in the big tree of Chinese astrology. The problem is that the symbolic stars should not be regarded separately from the whole picture of the horoscope. If one only searches the symbolic stars and forgets about the other information present in the chart (interrelations among the elements, 10 gods, etc. ), then one will have a very partial and sometimes even incorrect understanding of the horoscope. At a first look the system of the symbolic stars may give a sense of an oversimplified and unreliable method, but actually it might be very complicated and at the same time – very precise. The issue is how good and experienced is the astrologer. We know the importance of holistic, flexible and vivid reading and use of astrology. If one has a dogmatic, wooden, numb approach, if one simply interprets the horoscope just by directly citing the books without a flexible understanding and open-minded thinking, then one will be prone to mistakes and he will not be able to see the whole picture. 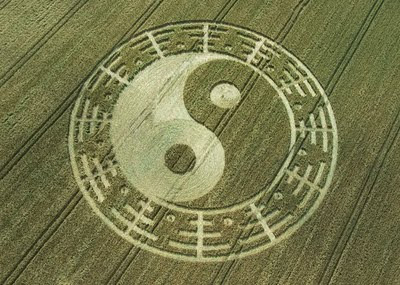 That's why the astrology is very deep and exact science and at the same time is metaphysical (xuan xue 玄学). The use of symbolic stars is like drawing the eyes of a dragon. The symbolic stars increase the transparency of the horoscope, so that many things appear more obvious and clear. The symbolic stars can reveal to us very important and precise information about the direction of one's interests, his character, the situation of his family, the functions and use of things, the personal characteristics and peculiarities. 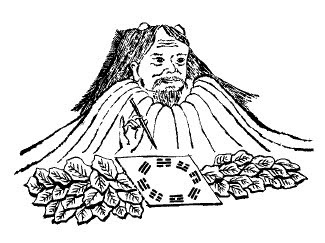 There are legends about Fuxi, who in the beginning used turtles (according to some stories, it must have been a sacred white turtle) for I Ching divination. So, in the end of Shang Dynasty in China it was quite popular to use turtle shells for divination. Many people killed the turtles in a very cruel way, for divination purposes. While the turtle was still alive, the diviners pressed it above with a heavy stone, then they heated the turtle from its tail in order to let her leave the shell. The heat caused some cracks on the shell and the newly formed cracks and signs were interpreted (according to the direction of the cracks, etc.). “The yarrow lives for thousand of years. When it is 100 years, it has 49 stems, which completely corresponds to the numbers of Heaven and Earth. When the yarrow achieves 500 years, it gradually starts to dry and solidify. When it achieves 700 years, it is without branches and leaves. When the yarrow achieves 900 years, its color is purple as iron. At the age of 1000 years, it attains a purple energy and below it there concedes a sacred turtle”. “Under the purple yarrow, there are five dragons hiding. It has a naturally born sensitivity. If gathered by the sages and 49 sticks are used, thus applying the numbers of Heaven and Earth, it [connects to] all origins [of things]”. Mentioning the numbers of Heaven and Earth, usually in yarrow divination there are used 49 or 50 sticks. However, there was a Taoist who told me that 55 sticks of yarrow should be used in the initial stage of the I Ching divination ritual. The Heaven numbers (1+3+5+7+9) + the Earth numbers (2+4+6+8+10) = 55. From these 55 sticks you get aside 6 sticks (as a part of the ritual). Those 6 stalks of yarrow represent the person (as part of the connections Heaven-Man-Earth). 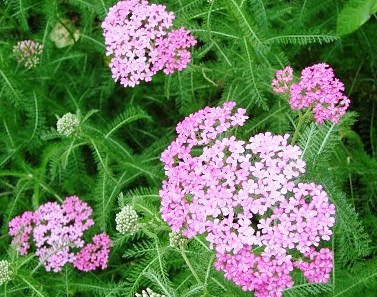 If the yarrow grows in spiritual and mountainous places, full of energy, then this yarrow is regarded of best quality. If it grows next to the road or on a common field, it has lesser properties. nobody can keep them safe. " In the middle of july, this year, we organized the 12th Qigong Conference "HEAVEN - MAN - EARTH" in Studenec, Rhodopes Mountain, Bulgaria. There participated more than 230 persons and it was a great event for everyone. The man is called Qiu Fuyi and he is from Sichuan province, China. 84-years old. He states that he uses his inner energy and emits it to different object. As he says himself, he is not a saint, but simply all his abilities are due to his inner strength and energy and thanks to the many years of practice. I searched in the Chinese google and found out that all he does is a trick. Journalists from the Chinese tv channel CCTV-10 has visited him to repeat his demonstration. In fact, all the miracles with moving and breaking of the objects are due to the special table. Within the table, there is a special mechanism, which can shake and move the objects. Inside the red towel there are 2 small metals that can break the glass under the vibrations of the table. When the journalists used another, normal towel, the trick did not work out... And the moving of the water is made possible due to the magnets put in the bowl and under the table. So, when the journalists used a different bowl with water, the trick didn't happen. That's how it goes! There are genuine masters, but also fake ones. And this should not disappoint the practitioners of qigong and other methods of energy cultivation. The moving and transformation of objects with energy is a proven fact. The genuine and serious qigong and yoga masters do posses all kinds of energy abilities and there is nothing wondrous in it. „One needs to clear a room in his house and put there only a tea table, a chair, a little bit boiling water and a fragrant tea. And then, to sit there alone and let the spirit be calm, light and natural”. June 21 - June (summer) solstice. 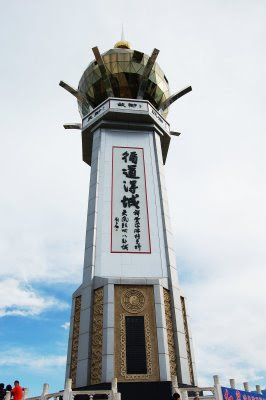 During the June solstice the energy is concentrated mostly at the bai hui 百会 point（"Hundred Meetings", "Heaven Gate" GV-20), located on the top of head on the fontanel. This acupoint naturally opens more easily now, which is of great benefit for our health. Bai hui is one of the most important acupoints as it stimulates the energy flow in the whole body. The new Moon (June 22) is also a good time for meditation. The new moons are time of increase in the Yang energy. When Moon is at perigee, the Moon is closest to Earth, which also is of great influence and brings more energy. It's also good to mention the aphelion, which will happen on July 4th (Sun farthest from Earth). During the solar eclipse, the energy in Earth naturally goes down a little bit, but this is only for a few minutes. Enjoy the good energy now and do some more qigong meditation! 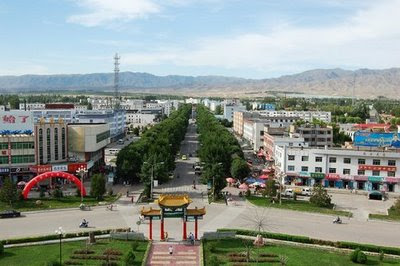 In the city of Tekesi, located in Xinjiang, the Uyghur autonomous region in the Western part of China, there is a Eight Trigrams town 八卦城. 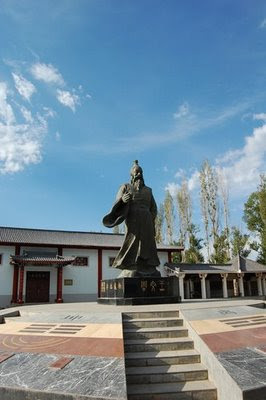 According to some scholars, its construction started 800 years ago, when the famous taoist monk Qiu Chuji met with Genghis Khan. 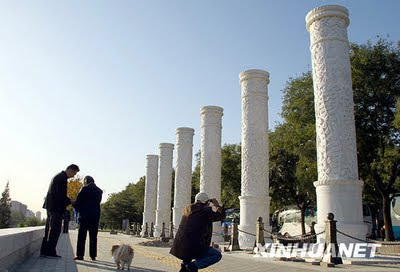 It was renovated in 1939 and is promoted as the "biggest Eight Trigrams city in the world". 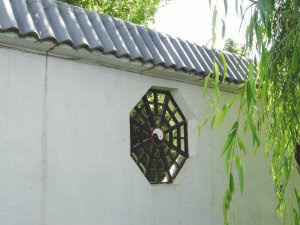 It is completely built on the principles of I Ching and fengshui. In the middle of the town is the Yin Yang park. 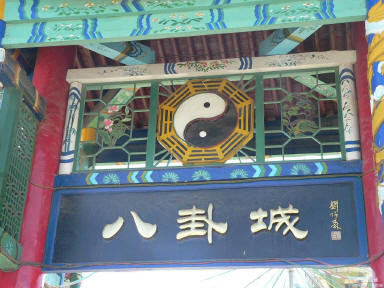 There are 8 main streets, which divide the eight sides of the Bagua. Each street is 1.2 km long.Within the first ring road, there are 8 streets;within the 2nd ring road - 16 streets;within the 3rd ring road - 32 streets;within the 4rd ring road - 64 streets. 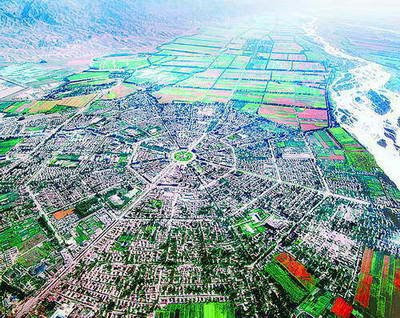 According to one Chinese travel site, "Tekesi Eight Trigram County is famous for its radial circle layout which looks like a labyrinth. It is the biggest and the most well preserved eight trigram county in the world. 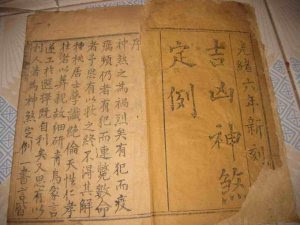 And also it is a place where the I ching culture is widely known. There is a strange thing in this county. That is no traffic lights can be seen here. No matter which direction you choose to head for , you can reach your destinations at last because the roads are closely linked to each other". 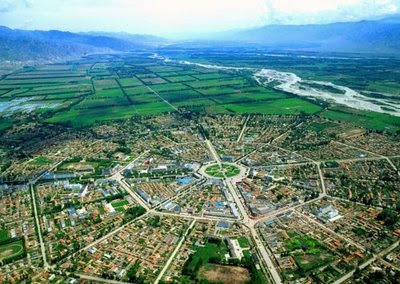 The town is enlisted in the Guinness Book of Records as the biggest Bagua city in the World. The swin flu will disappear sooner or later - it's very possible that this happens after the arrival of the solar season "Beginning of Summer" 立夏 (May 5th) or after the Summer Solstice 夏至 (June 22), which will bring major changes in nature and energy. I remember several years ago SARS disappeared with the coming of "Beginning of Summer" in early May. This time may take a little bit longer, but we will see what happens. the pathogens cannot enter the body." The current swine flu outbreak can be explained with the theory of 5 periods and 6 energies in Chinese metaphysics. 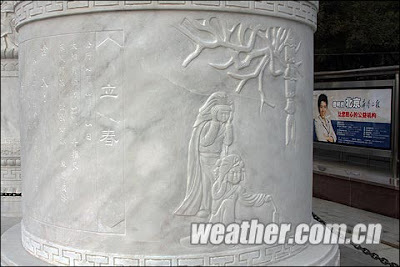 According to the theory of 5 periods and 6 energies 五運六氣, the year of Earth Ox (ji chou) is characterized with more humidity and cold patterns in the weather. The first half of the year is more windy and humid, while the second half of the year is expected to be a little bit colder than usually. As a whole, the guest qi is distributed very well in 2009 and the weather is normal. However, starting from the Spring Equinox (when Period 2 begins), the weather is dominated by Fire (君火), which is seen both in the main energy and in the guest energy. The two Fire patterns stimulate each other and initiate “great fire”. This fire is combined with the humid climate tendency in the first half of the year. So, during this time (Period 2) febrile diseases and epidemics easily spread out. In this way, the cause of the epidemic is due to pathogenic phlegm and heat entering the body. This leads to accumulation of turbid energy 浊气. The viruses quickly spread out during the time of pathogenic phlegm and heat. The cure: herbs and foods that expel Phlegm-Heat from the body. 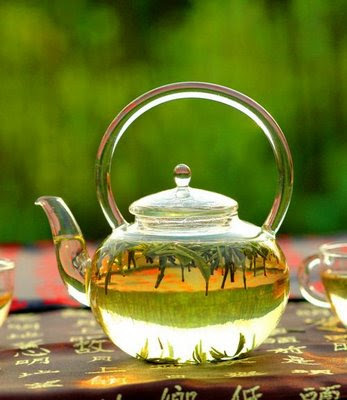 For example – honeysuckle flowers - Lonicera Japonica (金银花), Isatis root - ban lan gen (板蓝根), dandelion (蒲公英), mung beans (绿豆), rice vinegar. 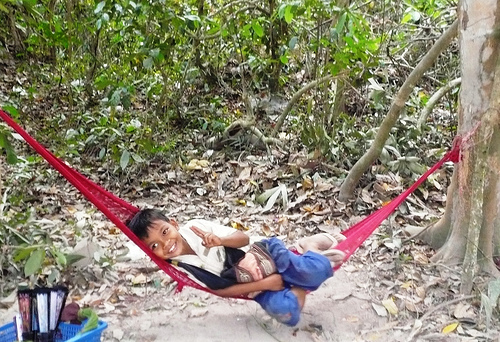 a happy child in Cambodia, originally uploaded by Annie Pecheva. In Cambodia many children sell souvenirs in Angkor Vat. 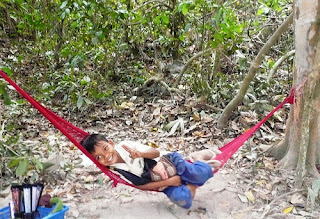 This child was not selling anything, just enjoying the life. 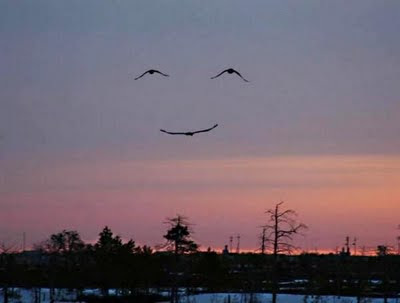 Happy and carefree... When he saw our group passing by, he joyfully said "Hello! Hi! Welcome to Cambodia!"